With some minor exceptions, domestic intercity bus services (Fernbus) were largely prohibited in Germany prior to 2013 due to anti-competition laws that protected the railways. 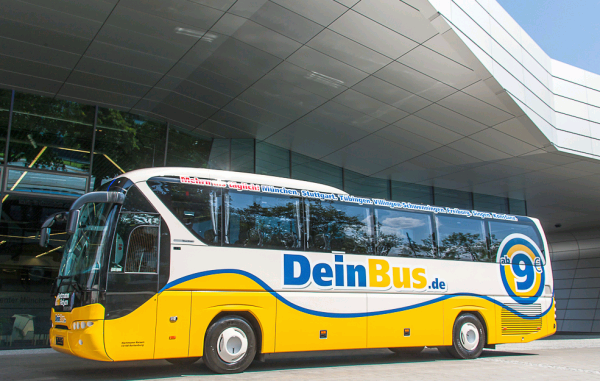 After a lawsuit between the Deutsche Bahn (DB) and startup DeinBus in 2011, the industry was deregulated in 2013 and intercity bus services boomed. Prior to 2013, intercity bus passenger traffic hovered around 2 million passengers per year. That number climbed to 8 million in 2013, 16 million in 2014, 23 million in 2015, and 25 million in 2016.
International bus service was allowed prior to 2013 and those services are well-developed, especially to eastern and southern Europe. However, while bus travel is generally cheaper than train travel, the trade-off is that it is usually slower. This is due to buses generally being limited to 100 km/h (while even 'slow" trains exceed 150 km/h), traffic congestion, and the requirement that bus drivers take scheduled rest breaks. Buses also tend to be more cramped than trains. When deciding between bus and rail, be sure to consider the trade-offs of cost, time, and comfort. 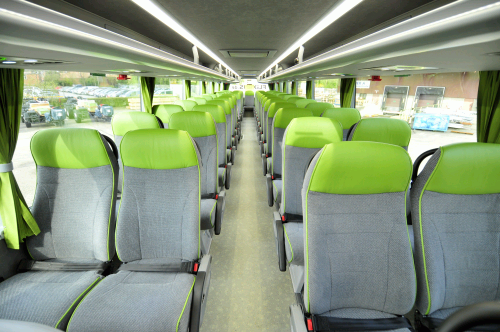 Intercity bus service is provided by private companies. When the industry was deregulated in 2013, more than a dozen companies started offering service.The competition was fierce resulting in the loss or consolidation of several companies, a trend that will likely continue for a few more years until the market stabilizes. After peaking at 328 in late 2015, there were 246 intercity bus routes in Germany at the beginning of 2017. 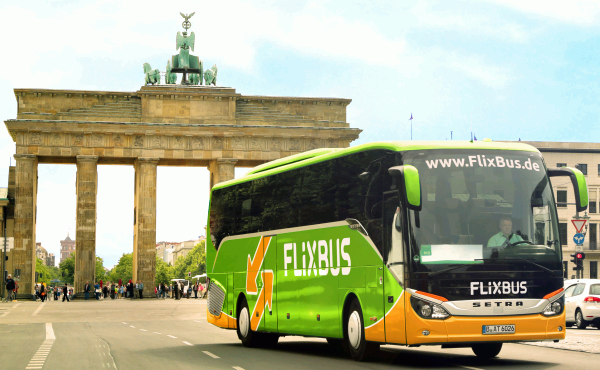 The largest market share-- by far-- is owned by FlixBus, which consolidated with the other market leader, MeinFernbus, in 2015. Niche companies include Eurolines Germany; DeinBus, which nearly went bankrupt before being rescued by investors; Regiojet; HELLÖ; ONEBUS; and IC Bus, which is operated by the DB. The competition amongst carriers has resulted in bargain fares. However, ongoing consolidation in the market has meant lessening competition and a resulting increase in fares over the past couple of years that will almost certainly continue in the future. Still, routes with competition will likely remain cheaper than comparable train fares. In response, the DB has started to offer special fares and discounts of its own to compete with bus services, so it's always worth checking. Like other transportation services, you'll almost always get the best fare by booking online in advance. You can also typically purchase tickets over the phone, usually for a small surcharge. Some companies operate ticket offices at major stations or storefronts in the larger cities, and tickets can also be purchased through many travel agents. However, in both cases, you will likely pay more than you would by purchasing online. Tickets can also usually be purchased from the driver at departure, but this will almost always be the most expensive option as well as the least certain as the bus may already be fully-booked by departure time. Drivers may only accept cash. If you wish to board at an on-request-only stop, you will have to purchase your ticket ahead of time. There are several aggregator services that will check the fares of all the bus services as well as the DB. Links for recommended aggregators and the individual bus companies are at the bottom of this page. Travel on buses requires individual tickets for each journey-- there are no passes like there are for the rail system that allow unlimited and spontaneous travel nor are there frequent-traveler discount programs. A copy of your ticket (either paper or electronic) and your identity papers are usually required for boarding, although DeinBus only requires your identity papers. Cancellation and rebooking policies vary among the operators, so you'll want to check those rules before purchasing if that's a concern. Most will refund your money less a processing fee, but some will only issue you a voucher for future travel with that company. The deadline for cancellation or changes also varies anywhere from 15 minutes to 24 hours before departure. In case of cancellations initiated by the company or significant delays (e.g. a bus breakdown or missed connections due to traffic delays), you'll need to contact the company to determine your options. Purchasing a ticket only guarantees you a seat on the bus; most companies do not provide the ability to reserve a specific seat in advance. To get a preferred seat, arrive early. All of the carriers use air-conditioned, modern over-the-road motor coaches for transport including some double-decker buses. Smoking is not allowed on any bus. Most buses have free Wi-Fi service with Internet access available. However, the service can be unreliable with passengers reporting drop-outs or slow data rates at times. Most companies also offer a free entertainment service via Wi-Fi (use your own device) with music and movies available. Many buses also feature electric outlets for recharging your electronic devices. These outlets are usually 220v, so you will need to make sure your device either accepts that voltage or you have a transformer. You may also need a plug adapter. Most companies allow you to bring food or drink on the bus and most also offer a limited menu of refreshments for sale on board. Coffee, water, soft-drinks, and a small assortment of dry foods (mainly snack foods and candy) are usually available at quite reasonable prices. All buses have an on-board toilet. Most buses will not stop for rest breaks en-route unless required by law for the driver. If the bus does stop for a driver break, passengers are generally allowed to disembark to use the facilities; be sure to stay nearby or ask the driver when the bus will depart so that you are not left behind! Baggage policies vary widely among the carriers, so you'll need to check the rules with each individual company. Be sure to label your bags with your name, address, and phone number. You should also consider adding something to make your bag more easily recognizable such as a bright-colored handle grab, strap, or tag. Luggage cannot be transported unaccompanied. Like an airplane, there is a luggage hold beneath the passenger compartment as well as overhead and underseat storage in the passenger cabin. Large bags should be placed in the luggage hold with only smaller, carry-on type bags brought on board. Note that passengers are often required to load and unload their own bags from the luggage hold. When loading, note that the hold area may have separate compartments marked by signs for each destination served by the route; be sure to put your bag in the section corresponding to your destination. As with regular baggage, the policies for bulky items and bicycles also varies. Most do allow baby buggies/carriages and wheelchairs without an additional fee. Most do not allow pets other than service animals; the latter usually requires you to notify the company ahead of time. All buses are equipped with seat belts (lap belts) and all passengers are required to use them while seated. The bus companies generally do not operate their own stations, but rather use existing public bus facilities. In most large cities, the buses will stop at either the central bus station (Zentraler Omnibusbahnhof/ZOB), usually near the main train station (including the shiny new ZOB in Munich), or the long-distance bus terminal at the airport (or both.) Large cities may have multiple stop locations. In smaller towns and the suburbs, the stop may be located at a train station or simply at a bus stop on the side of the road near the town center. Your ticket will give the address (and often a map) of the stop location for both your origin and destination. If you are making a connection, be sure the stop where you will change buses is the same or, if not, that you know how to get between the stops for your connection and how much time you will need to do so. In some cities, stops have been moved from the city center to outlying areas due to concerns about congestion (or other political reasons.) Whatever your ultimate destination, be sure you know how you'll get there from the bus stop. Fortunately, most stops in cities are located at or near public transport. 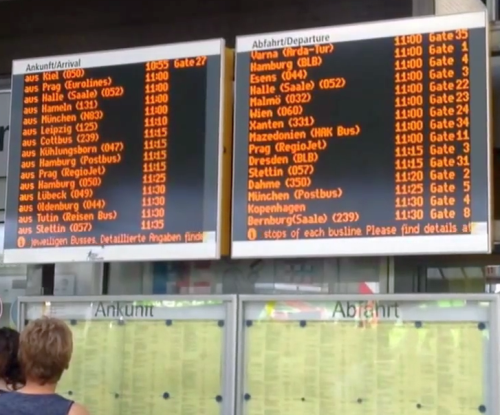 At the larger bus stations, there are departure boards similar to those at train stations and airports that show upcoming departures and what platform they will be departing from; use these to locate your outbound bus. Before boarding a bus, confirm its destination using the destination sign on the front and/or side of the bus. Ask the driver if in doubt. All of the bus companies generally prohibit intermediate or ad hoc stops. If the bus stops for a required rest break for the driver, passengers are generally allowed to disembark to use the facilities; be sure to stay nearby or ask the driver when the bus will depart so that you are not left behind! Most of the domestic bus companies also offer international routes either themselves or in conjunction with another carrier. You will need to make sure you have the required paperwork (passport, visa, etc.) for entry into your destination country.